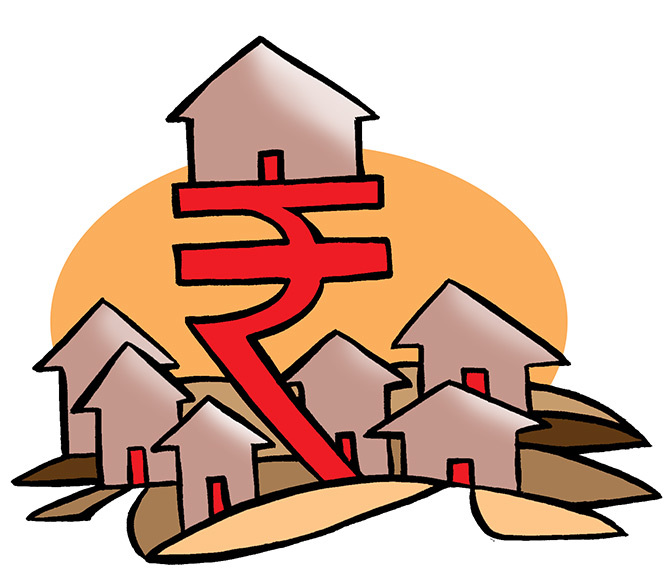 Rediff.com » Business » Will Santa bring good news for India's real estate developers? Will Santa bring good news for India's real estate developers? Christmas is a perfect time for most NRIs to travel back to India and include property buying in their schedule. Ahmedabad, Kochi, Ludhiana and Chandigarh are some cities that witness generous investments from NRI investors. The country’s battered real estate companies are looking for ways to put on a new coat of paint. And, they are pinning their hopes on holidaying non-resident Indians (NRIs) to see a rise in offtake. According to experts, the industry expects as much as 15 per cent rise in sales over the past year during this period. “The second half of December is holiday time in most western countries, including the US, most of Europe, UK, Australia, and New Zealand, among others. "Several companies in these countries give their employees a vacation during this period. "So, it is a perfect time for most NRIs to travel back to India and include property buying in their India schedule, if they’re considering such a purchase. "Trend shows such NRIs do a lot of online research, then schedule site visits of shortlisted properties and meet developers or property consultants,” said Shajai Jacob, chief executive officer – GCC (Middle East) Anarock Property Consultants. He said that while this period is usually not a “high traffic” property-buying season in India, where the primary festival times coincide with Dussehra, Diwali and Onam, NRIs’ intent on buying a residential property in the country are now less likely to focus on auspicious elements. For them, it is more about opportunity of extended vacations to scout for properties and seal deals before heading back to their country of residence. According to Gaurav Kumar, managing director and co-head, capital markets, CBRE India, Mumbai, Delhi-NCR, Ahmedabad, Kochi, Ludhiana and Chandigarh are some cities that witness generous investments from NRI investors. “While metros cities continue to be preferred locations, several tier-II towns and cities have become lucrative investment destinations. "The top seven markets include Delhi-NCR, Mumbai, Bengaluru, Hyderabad, Chennai, Pune and Kolkata. "These markets have recorded overall housing sales of roughly 80,000 units in the first three quarters of this financial year. These are driven by both domestic buyers as well as NRIs,” said Kumar. According to Anarock, while in any given quarter NRIs largely comprise about 7 per cent of the total sales, it may increase to 15 per cent during the fourth quarter. Anarock data on the overall sales numbers in the October-December quarter in the past two years indicate a quarter-on-quarter decline in both 2016 and 2017 by 47 per cent and 21 per cent, respectively. “This decline can be attributed to a number of reasons, including demonetisation and Real Estate (Regulation and Development) Act (RERA). While resident Indians may not be increasingly active in purchasing homes during this time, NRIs would add substantially to the overall sales numbers. "For developers, it is usually a lull period for making land purchases and they utilise this time to promote their projects among the NRIs,” Jacob said. NRIs coming from a pure end-user perspective prefer to invest in their cities of origin. However, a more recent trend - buoyed by the favourable exchange rates and also rebooted regulatory environment - is increasing number of NRI investors opting for cities that will give them decent returns on investments. A recent Anarock survey highlighted that today, nearly 61 per cent of NRIs expect almost 20 per cent return on interest from property in India. Will real estate stocks return 37% this year? Will Jaitley present his 6th full Budget next year?